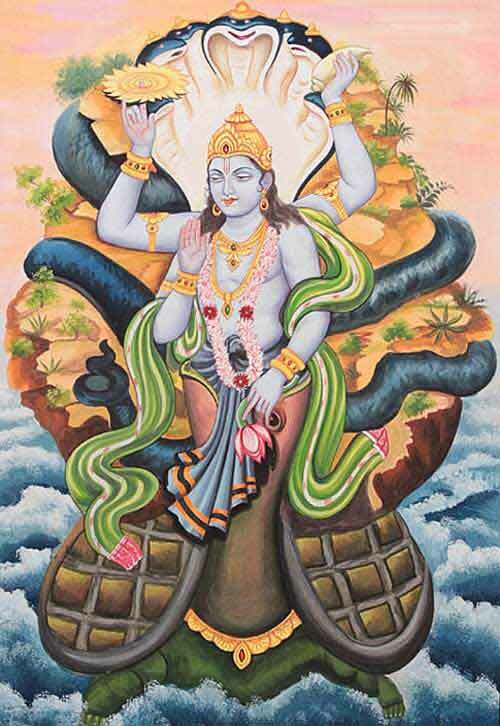 Kurma Dwadashi Vrat is dedicated to the Kurma or tortoise incarnation of Hindu God Vishnu. Kurma Dwadashi 2020 date is January 7. The popular belief is that observing this Vrat helps in redemption of sins and also helps in the path of Moksha. It is observed on the 12th day during the waxing phase of moon in Paush month as per traditional Hindu lunar calendar – Paush Shukla Paksha Dwadashi. The fasting associated with Kurma Dwadashi is observed on the previous day or Ekadasi day. On Dasami or the 10th day the devotee performs purification rituals and prepares for the vrat next day. Pujas and worship are dedicated to Kurma Avatar of Vishnu. The fast is broken on the 12th day morning. As the previous day is Ekadasi most people combine both fast. The only difference is the additional worship of the Kurma form of Vishnu.